← There goes his soul! The Knights of Columbus was founded in 1882 as a Catholic fraternal service organization. The fraternity was founded by Father Michael J. McGivney, an Irish-American priest, from St. Mary’s Parish of New Haven, Connecticut. Originally founded to provide aid to orphans and widows, it now has an expanded mission to provide insurance, philanthropic, and charitable activities and community services all around the globe. It’s mission is In service to one. In service to all. 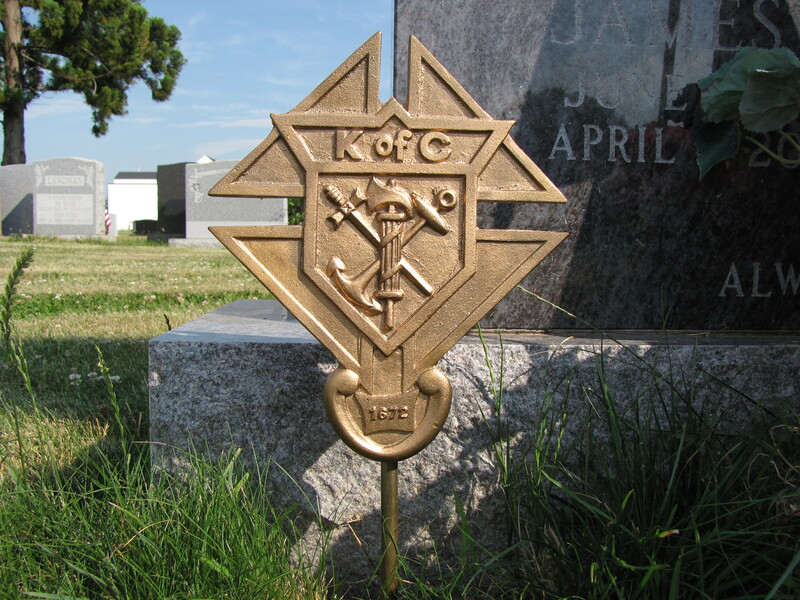 Their are at least two metal markers that can be found in cemeteries that denote membership in the Knights of Columbus. The marker on the left replicates the offical emblem of the organization, designed by James T. Mullen, which dates back to May 12, 1883. A knight’s shield, representing knighthood, is overlaid on a stylized cross of Christ or Formee cross. In the center of the knight’s shield are crossed an anchor, a mariner’s symbol for Columbus, and a sword or short dagger, which were used by knights when they were engaged in merciful acts. Over the sword and anchor is laid a Roman fasces, a traditional symbol of authority and unity. 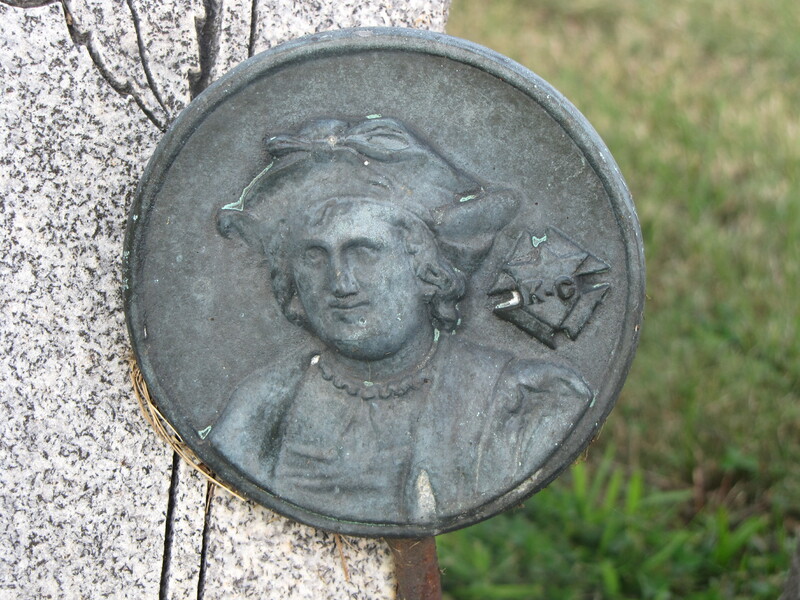 The marker on the right, represents the face of Columbus, in whose honor the organization was named and it’s patron. Also displayed on the face of the marker is a small stylized version of the organization’s emblem.